A proper 6 pack abs diet should consist of healthy natural foods and little junk food that has no nutritional value. Start eating 5 or 6 small meals a day to really help shrink the belly fat. Eat breakfast every day so that you set the trend and do not skip meals as this can lead to binging on junk food later on. Each of your meals should include protein, healthy fats, and a serving of fruits or veggies for carbs. 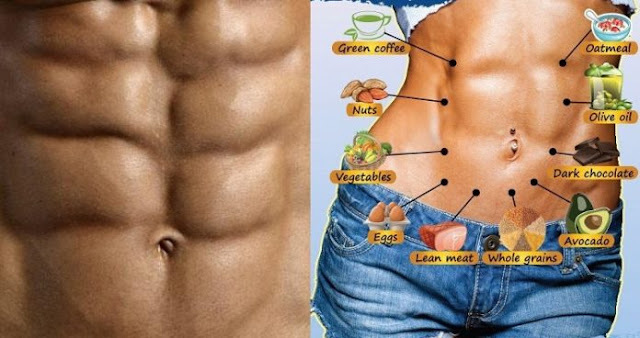 Get more of these foods in your 6 pack abs diet. 1) Nuts – These are loaded with healthy fats, fiber, and protein. Just because they are loaded with fat does not mean they make you fat. 2) Beans – These are like nuts since they are also loaded with healthy fats, fiber, and protein to really help your body burn the fat and feed the muscle. 3) Eggs – Do not believe the myths about yolks increasing your bad cholesterol. Studies show that they do not have effect on your bad cholesterol but they do increase your good cholesterol which help prevent heart disease. They are such a good source of healthy fats and protein that it is hard to ignore them. With these types of foods that are healthy and natural you will have no problem burning the belly fat and build lean muscle. Be sure to get some with each meal. Just be sure to take action with what you have learned. If you don’t then you will never make enough progress to see results with your 6 pack abs diet.